Why a non-Muslim should know the Qur’an? 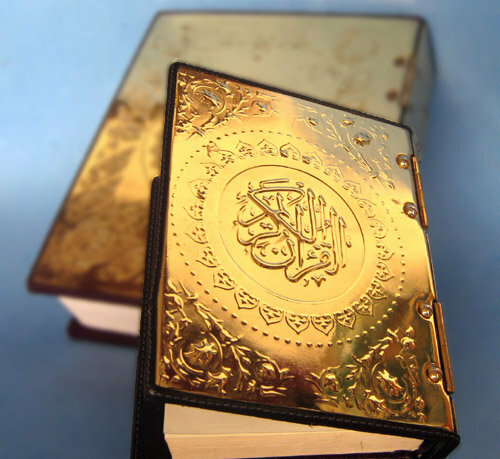 Home / Why a non-Muslim should know the Qur’an? / / Why a non-Muslim should know the Qur’an? The Qur’an is undeniably a book of great importance even to the non-Muslim, perhaps more today than ever, if that is possible. One aspect of Islam that is unexpected and yet appealing to the post-Christian secular mind is the harmonious interplay of faith and reason. Islam does not demand unreasoned belief. Rather, it invites intelligent faith, growing from observation, reflection, and contemplation, beginning with nature and what is all around us. Accordingly, antagonism between religion and science such as that familiar to Westerners is foreign to Islam. This connection between faith and reason enabled Islamic civilization to absorb and vivify useful knowledge, including that of ancient peoples, whereby it eventually nursed Europe out of the Dark Ages, laying the foundation for the Renaissance. When Europe got on its cultural feet and expelled Islam, however, the European mind was rent by the inability of the Christian church to tolerate the indivisibility of the sacred and the secular that characterized Islam and had enabled Islamic civilization to develop natural science and abstract art as well as philosophy and social science. The result was a painful, ill-fated divorce between science and religion in Europe, one whose consequences have adversely affected the entire world. In the post-Christian West, where thinking people, including scientists themselves once more, are seeking solutions to the difficulties created by the Christian divorce between religion and science, the Qur’an offers a way to explore an attitude that fully embraces the quest for knowledge and understanding that is the essence of science, while at the same time, and indeed for the same reasons, fully embraces the awe, humility, reverence, and conscience without which “humankind does indeed go too far in considering itself to be self-sufficient” (Qur’an 96:6-7). Even for the secular Westerner, apart from any question of religious belief or faith, there are immediate benefits to be found in reading the Qur’an. First, in view of the sacredness and vital importance of the Qur’an to approximately one-fifth of all humanity, a thinking citizen of the world can hardly develop a rational and mature social consciousness without considering the message of the Qur’an and its meaning for the Muslim community. With the fall of communism, it has become particularly clear that global peace, order, and self-determination of peoples cannot be achieved without intelligent respect for Islam and the inalienable right of Muslims to live their religion. The second immediate benefit in reading the Qur’an, therefore, is that it is a necessary step toward the understanding and tolerance without which world peace is in fact inconceivable. For non-Muslims, one special advantage in reading the Qur’an is that it provides an authentic point of reference from which to examine the biased stereotypes of Islam to which Westerners are habitually exposed. Primary information is essential to distinguish between opinion and fact in a reasonable manner. This exercise may also enable the thinking individual to understand the inherently defective nature of prejudice itself, and thus be the more generally receptive to all information and knowledge of possible use to humankind. Excerpted from “The Essential Koran” by Thomas Cleary. Thomas Cleary has translated various religious texts, including The Essential Tao, The Secret of the Golden Flower and the bestselling The Art of War.